July jolt: A July jolt at the boxoffice is Hollywood's ideal mid-summer night's dream. On the heels of a dreamy June with blockbusters like "Jurassic World"and "Inside Out" that dominated July Fourth weekend along with newcomers "Terminator Genisys"and "Magic Mike XXL," Hollywood is clearly on a boxoffice roll. The boxoffice has been humming since summer unofficially kicked off May 1 with Disney and Marvel's "Avengers: Age of Ultron," which has done $454.2 million after 10 weeks. Through July Fourth weekend, ticket sales are up 6.9 percent over this time last year, according to the boxoffice data tracking firm Rentrak. Last Wednesday saw Paramount Pictures and Skydance Productions' PG-13 rated male appeal 3D sci-fi action adventure reboot "Terminator Genisys"open with $28.7 million and a five day cume of $44.2 million. Warner Bros. and Iron Horse Entertainment's R rated female appeal male stripper comedy sequel"Magic Mike XXL" also hit the multiplexes Wednesday, pulling in $12 million and a five day cume of $27.1 million. Both newcomers faced strong holdover competition from "JW,"which placed first with $30.9 million, and "IO,"which finished a very close second with $30.1 million.It also didn't help that July Fourth fell on a Saturday so that holiday events like fireworks and picnics competed with moviegoing on what's usually the strongest boxoffice day of the week. "Genisys" and "XXL"will enjoy some great summer playing time in the coming weeks. But as July rolls out they'll be running into strong competition from a steady stream of new wide openings. Here's a look at what's on deck. Family films are a summertime staple and this weekend will see the latest episode in the hit family franchise"Despicable Me. "Universal and Illumination Entertainment's 3D animated comedy adventure "Minions." Directed by Kyle Balda (co-director of "The Lorax") & Pierre Coffin ("Despicable Me" one and two), it's opening at about 4,200 theatres. This time around theMinionsare depressed because they don't have someone to serve. Fortunately, Kevin has a plan and sets out with rebellious Stuart and loveable little Bob (all voiced by Pierre Coffin)to find a new evil boss -- Scarlet Overkill (voiced by Sandra Bullock). 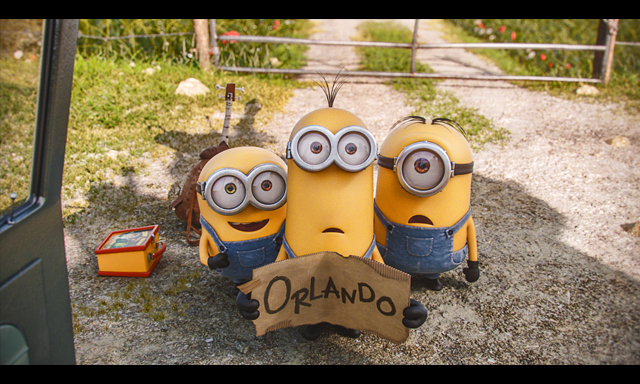 The franchise's last episode, "Despicable Me 2," opened via Universal July 3, 2013 to $83.5 million. It went on to do $368.1 million domestically. While families are heading to "Minions," horror film fans – typically under-25 females – will be checking out Warner Bros. and Blumhouse Productions' R rated "The Gallows," opening at about 2,700 theatres. Directed by Travis Cluff ("Gold Fools") &first-time feature director Chris Lofing, it stars Reese Mishler, Pfeifer Brown and Ryan Shoos. Blumhouse, a major brand name in the low-budget/high profits horror genre, already has such hit franchises to its credit as "Insidious," "The Purge" and "Paranormal Activity." The latest "Insidious" franchise episode, "Insidious Chapter 3," opened June 5, 2015 via Focus Features to $22.7 million and has grossed $51.2 million through last weekend. Rounding out this weekend's wide releases is Focus Features' PG-13 rated sci-fi thriller "Self/less,"opening at about 2,400 theatres. Directed by Tarsem Singh ("Immortals"), it stars Ryan Reynolds, Natalie Martinez and Matthew Goode. Sci-fi films typically do best with adult male moviegoers. Its storyline revolves around a very wealthy terminally ill manwho through extrememedical efforts transfers his consciousness into a healthy young new body. Later when he learns about his new body's origin, he realizes he's in danger from an organization that will kill him to protect itself. July 17 will bring two well-matched wide openings targeted to very different audiences. Universal Pictures' R rated comedy "Trainwreck,"from Judd Apatow, producer of "Bridesmaids" and director of "Knocked Up,"stars Amy Schumer, Bill Hader and Brie Larson and is targeted to women. Schumer plays Amy, a magazine writer living an uninhibited life without romantic commitment. She's been told since childhood that monogamy isn't realistic, but now she's falling for a charming sports doctor (Hader) and wondering if other grown-ups just might be on to something. As was the case with "Bridesmaids," which grossed $169.1 million in the summer of 2011, "Trainwreck" should have strong playability to women – and especially to those under 25. Young women have been a big factor at the boxoffice this summer. One of the best examples of boxoffice girl power is Universal and Gold Circle Films' PG-13 rated music comedy "Pitch Perfect 2,"which has done $182.4 million after eight weeks in theatres. The weekend's other wide launch should be much more male driven at the boxoffice -- Marvel Studios and Disney's PG-13 rated 3D sci-fi action adventure "Ant-Man." In "Ant-Man," master thief Scott Lang (Rudd) embraces his inner hero to help his mentor, Dr. Hank Pym (Michael Douglas), protect the secret behind his spectacular Ant-Man suit from a new generation of towering threats. When Lang wears that suit, he shrinks to being ant-size. 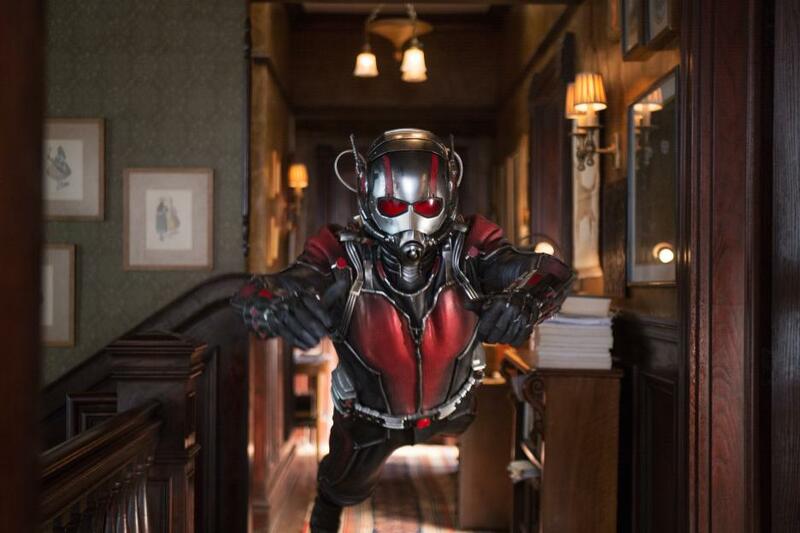 Marvel's track record is so astoundingly good that insiders are anticipating a major boxoffice impact for "Ant-Man." It may not be a top tier Marvel comic book title, but neither was "Guardians of the Galaxy," which opened Aug. 1, 2014 to $94.3 million and went on to do $333.2 million domestically. "Ant-Man" is opening earlier in the summer than "Galaxy" did and faces stronger holdovers and newcomers than "Galaxy" was up against last Augustas summer was winding down. On the other hand, 2015 has been a much strong summer for ticket sales than 2014 was and "Ant-Man" could over-perform significantly. There's also talk of "Ant-Man" having more family appeal than superhero driven films typically have, which couldenhance its boxoffice prospects. The weekend starting July 24 will be much more crowded with four wide openings. Columbia Pictures and Happy Madison Productions' PG-13 rated 3D male appeal sci-fi action comedy "Pixels" is from "Home Alone" and "Mrs. Doubtfire" director Chris Columbus. Starring are: Adam Sandler, Kevin James and Michelle Monaghan. As kids in the 1980s, Sam (Sandler), Will (James), Ludlow (Josh Gad) and Eddie (Peter Dinklage)saved the world thousands of times -- in video arcades. Now, they've got to do it for real after intergalactic aliens discover video feeds of classic arcade games and misinterpret them as being a declaration of war. 20th Century Fox and Fox 2000 Pictures' PG-13 rated romantic drama mystery "Paper Towns"is directed by Jake Schreier ("Robot Frank") and stars Cara Delevingne, Nat Wolff and Halston Sage. "Paper," which should do best with under-25 females, is adapted from the bestselling novel by John Green. Itscoming-of-age story revolves around Quentin (Wolff) and his enigmatic neighbor Margo (Delevingne), who loves mysteries so much she becomes one. After an all-night adventure in their hometown, Margo suddenly disappears -- leaving behind cryptic clues for Quentin to decipheron an exhilarating adventure to track her down. Lionsgate and Lakeshore Entertainment's PG-13 rated horror thriller "The Vatican Tapes"is directed by Mark Neveldine ("Ghost Rider: Spirit of Vengeance") and stars Kathleen Robertson, Djimon Hounsou and Michael Pena. Like most horror thrillers, it should do best with under-25 females. In "Tapes," two Vatican exorcists and a priest battle an ancient satanic force to save a young woman's soul. The Weinstein Company's R rated action drama "Southpaw"is directed by Antoine Fuqua ("Training Day") and stars Rachel McAdams, Jake Gyllenhaal and Forest Whitaker. Its storyline centers on a boxer who after fighting his way to the top now finds his life is crumbling. July 31 will see the month wrap up with two new franchise episodes. Paramount, Skydance Productions and Bad Robot's action thriller "Mission: Impossible – Rogue Nation" is from "Jack Reacher" director Christopher McQuarrie and stars Tom Cruise, Jeremy Renner and Simon Pegg. It should do best with action fans – typically, men under and over 25 -- but could also have good playability to adult women. 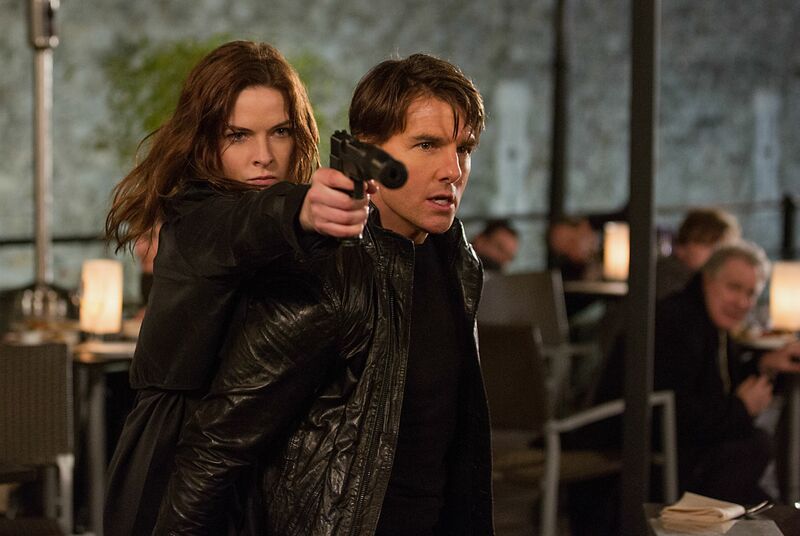 In the blockbuster franchise's latest episode, Ethan Hunt (Cruise)and team accept their most impossible mission yet -- wiping out the Syndicate, an international rogue organization committed to destroying the IMF. The franchise's last episode, "Mission: Impossible –Ghost Protocol," opened Dec. 16, 2011 to $12.8 million and did $209.4 million domestically. Warner Bros. and New Line Cinema's R rated adventure comedy "Vacation"is directed by first time feature directors John Francis Daley & Jonathan Goldstein. Starring are: Chris Hemsworth, Leslie Mann and Elizabeth Gillies. This re-imagination of the hit 1980s franchise that starred Chevy Chase should do best with adult men. It also could attract adult women given its storyline about trying to improve a marriage with the right kind of vacation. A grown up Rusty Griswold (Ed Helms in the role originated by the young Anthony Michael Hall in 1983's "National Lampoon's Vacation") plans a vacation to bring his family closer together. With his wife and two sons, Rusty sets out on a cross-country road trip to America'scoolest theme park, Walley World, where nothing goes quite as planned. Bottom line:When July ends, Hollywood's summer will still have another month to go. Looking ahead, Augustshould get off to a flying start with Fox and Marvel's reboot of the 2005 hit "Fantastic Four." Directed by Josh Trank ("Chronicle"), it opens Aug. 7. Starring are: Miles Teller, Kate Mara and Michael B. Jordan. The original "FF" opened July 8, 2005 to $56.1 million and went on to do $154.7 million domestically.